Chicago &mdash Dscoop (Digital Solutions Cooperative) will host more than 100 partners in their Solutions Showcase at DscoopX, March 5-7, 2015 in Washington D.C.
Dscoop welcomes four Diamond and eight Platinum partners this year, many of which are returning partners from past conferences in Dscoop’s rich, ten year history. These 12 companies, along with others at the Gold, Bronze and Ruby levels, will combine to create the largest Solutions Showcase experience in Dscoop history. The Dscoop North America annual conference is close to selling out for the fifth straight year, so networking and excitement will be in full swing at two Partner sponsored receptions during the event. The Solutions Showcase Opening Reception, sponsored by GPA, Specialty Substrate Solutions, will take place on Thursday, March 5 to kick off the festivities. Back by popular demand is the event everyone will be talking about for years to come, the Dscoop Party, “Cheers to 10 Years”, sponsored by Executive Sponsor HP. There will belive music, dancing and much more. CARTES GT SERIES introduces an innovative modular assembling concept that identifies an innovative category of modular label machines configurable with hot stamping, silk screen printing, embossing, flexo varnishing, flat die-cutting, rotary die-cutting and laser die-cutting capable to meet the demands of a constantly evolving industry such as the self-adhesive label. Performing up to 6 slits, 25 cuts and 20 creases in a single pass, the Duplo DC-616 PRO Slitter/Cutter/Creaser removes white borders and prevents toner cracking on digital color documents. Fully automated, the DC-616 PRO finishes full-bleed applications such as greeting cards, invitations, and 24-up business cards without additional modules. GPA’s Ultra Digital® Translucent Papers are made from pristine cellulose fibers, not with chemical resins or additives like traditional vellum papers. Because of this, they are softer, more flexible and more easily folded. GPA’s naturally translucent paper offers unrivaled quality, adding an elegant finishing touch to a variety of applications. MindFire Studio’s Analytics Dashboard allows marketing service providers to have a detailed and insightful view of their marketing campaign’s results. With the ability to analyze your campaign’s metrics in real time, you can make relevant, data-driven decisions to improve your campaign’s success. At the end of your campaign, simply send your client a direct link to view the results on their smartphone, tablet, or desktop. The Delta 5 by Rollem is a new rotary sheet-fed flexo-magnetic die cutter ideal for on-demand digital products. Delta performs die cutting, kiss cutting and creasing on a range of substrates up to 0.22 board. Produce folded boxes, labels, stickers, shaped photo products and presentation folders with one of the three Delta models. See the Delta 5 in action producing boxes, sticker sheets, round cornered business cards and door hangars. The Scodix Ultra Pro™ is designed to operate with variety of polymers (Polymer Ink types), which allows a variety of applications. Up to 3 different applications are supported in one digital enhancement press. Scodix High Impact – the height of the Scodix SENSE™ enhancement is what gives tangible dimension to graphic printed items. The RAS-mc is the only right angle slitter that combines high speed productivity with product size flexibility. The RAS-mc can be configured with inline scoring, on the right angle section, for folded cards. Auto adjust cassettes can also be added to further increase product size flexibility. Verso and NewPage are now Verso Corporation. Verso Corporation’s Blazer Digital offering has been expanded with the addition of a 70 lb. text and larger sheet sizes for the HP Indigo 10000. The third generation of the best-selling HP Indigo WS6000 Digital Press series offers label and packaging converters faster turnaround times through automated color management, a wider frame and new ink capabilities for expanded applications including pressure-sensitive labels, in-mold labeling and shrink sleeves. 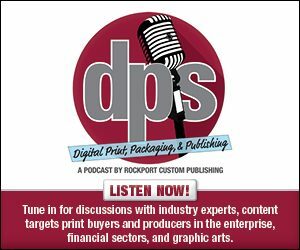 A sheet-fed press that offers print service providers a range of new capabilities, including the ability to print directly on synthetic substrates and plastic cards, and a new color management experience with an in-line spectrophotometer.